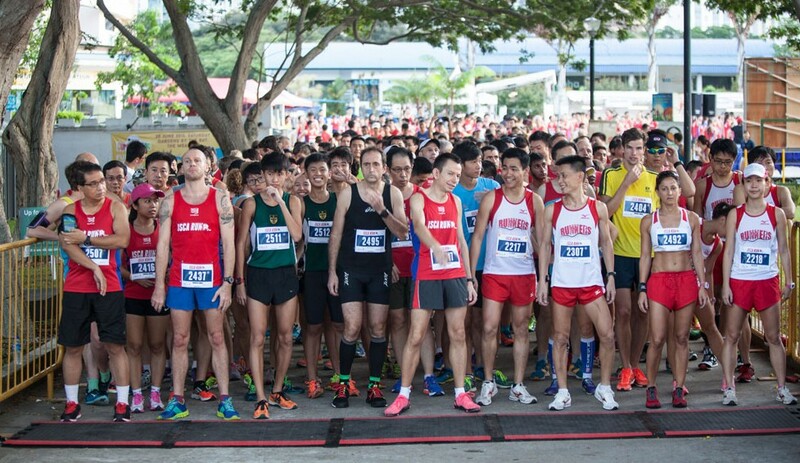 Race Review: ISCA Run 2015 [5km] (by The Ninja Turtle) | JustRunLah! After a very difficult journey from France with delayed departures and arrivals, a missed connection in Dubai and a suitcase that failed to make the same flight, I am finally back in good old Singapore! And what better way to celebrate my return than to participate in my first ever race in Singapore? 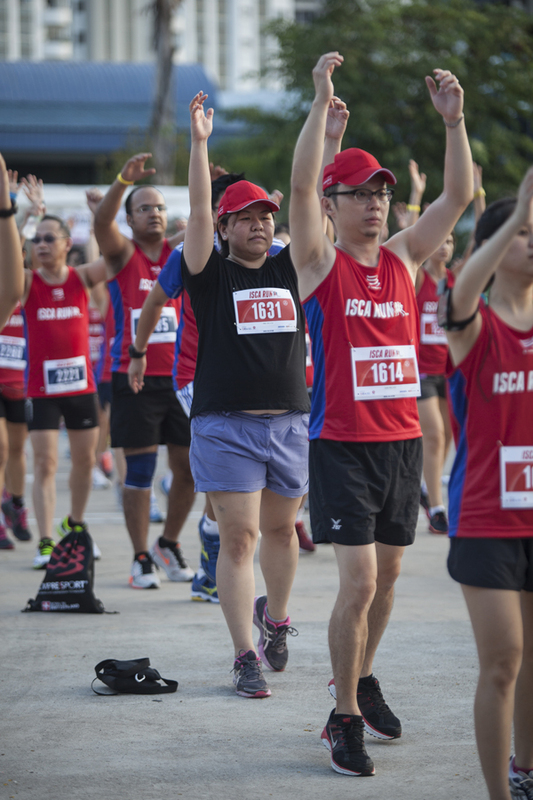 Fighting the jetlag and fatigue, I was up at 5.30am to prepare for the ISCA Run 2015 at Big Splash, East Coast Park. About 1000 other runners showed up for the event, which offered two distances, 5km and 10km. There was also a 750m Kids Dash and a corporate challenge for teams of 4 runners. Given I’d only arrived a day and a half ago, and am still struggling to adapt to the heat and humidity, I conservatively went with the 5km. While waiting for the race to commence, I drank in the sunrise scenery of East Coast Park. At the risk of sounding like a complete tourist in my own home country, I was amazed by the coastal view, and found the tai chi groups and morning strollers most fascinating to observe. Of course, the highlight was celebrity-spotting runners Soh Rui Yong and Ashley Liew, Singapore’s two representatives at the upcoming SEA Games marathon event. They were running in a group, and looked completely at ease despite the fast pace I would never be able to maintain for more than 3 seconds. For a race that’s only in its second edition, I personally thought it was very well organised. The atmosphere was pumping when we arrived, and runners were led through a group warm-up sessions. There were plenty of booths around, including the Singapore Health Promotion Board’s 1,000,000kg Challenge and the ISCA Photo booth for so-called “wefies” (selfies in groups, I believe). Compared to the races I’ve participated overseas, I must say I found quite a decent amount of attention paid to the entertainment factor! I headed straight for the refreshment booth after the run, and was accosted en route by event volunteers telling me to pick up my finisher’s medal and shoe bag. I got a medal for running 5km?! Sweet! It’s a pretty one in gold, with the ISCA slogan Gather Bond Run on it. I was also rather impressed by the offerings at the refreshment booth – water, isotonic drinks, bananas, crackers and biscuits. I fear I’ve eaten back everything I burnt off in the run, and then some. The prize-giving event was a quick affair, and once again, I was impressed by how fancy races are in Singapore. The prizes were presented by Guest of Honor Mr Teo Ser Luck, who is our Minister of State from Ministry of Trade and Industry! I don’t quite recall the timings of the winning men and women of both 5km and 10km distances, but they were some incredibly fast results that boggled my mind. As I made my way back, I reflected on my first racing experience in Singapore. The climate made it a real challenge, but the route was really flat, and I really liked watching the ships out at sea on one side, and the morning exercisers on the other. The starting time is a lot earlier than what I’m used to, but I understand that any later, and it’d be impossibly hot. The race registrations are more expensive, but runners receive a LOT in return – the goodie bag had a whole stack of vouchers, the race singlet, two shoe bags and a medal for finishers. Besides, the ISCA Run is a fundraising event to support the charities MINDS and SPD, so I hope all runners got the warm fuzzies participating in this race. The volunteers were also friendly, helpful, and super efficient at distributing the refreshments so the queuing time wasn’t too long. It was a really well-organised event and I’ve got a new 5km PB to boot! 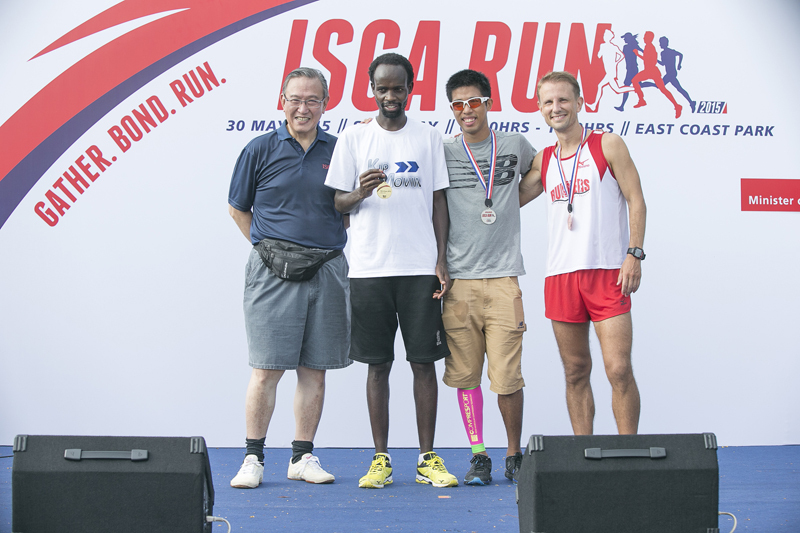 Click here for hi-res photos of ISCA Run 2015 taken by JustRunLah! photographers. Hey, welcome home. Nice review. I decided not to enter the accountants championships, but seems like a nice race, was it not compulsory to run with a calculator in your hand though :)? Agree re differences between races here and in Europe, I think I still prefer the cheap and simple alternative though! You are right, I do find the race fees here exorbitant and most people just put most of the vouchers in the bin in the end. I can register for a half marathon back in France for like, 12 euros? which comes to about S$25, and I think that’s unheard of in Singapore. Yeah, let’s try to grab a run while you are here. I will send u a pm with what’sapp no?